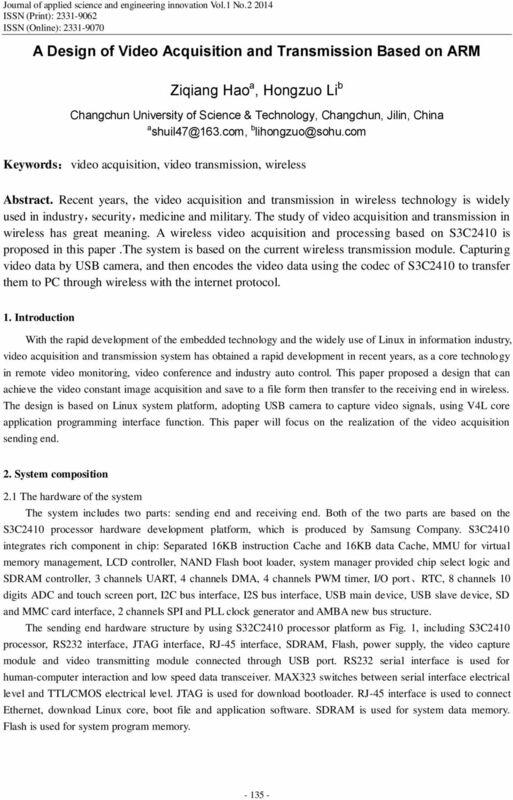 Download "A Design of Video Acquisition and Transmission Based on ARM. Ziqiang Hao a, Hongzuo Li b"
DMA Module. 2008 Microchip Technology Incorporated. All Rights Reserved. PIC32 DMA Module Slide 1. Hello and welcome to the PIC32 DMA Module webinar. 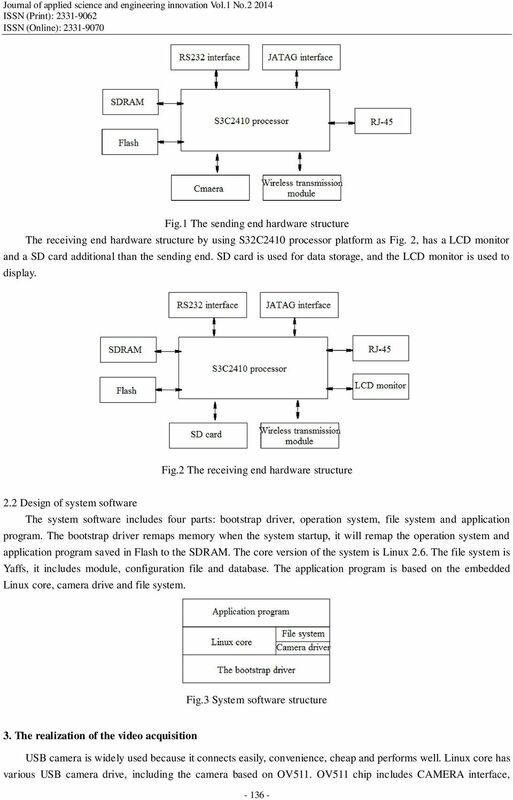 System Considerations Interfacing Performance Power Size Ease-of Use Programming Interfacing Debugging Cost Device cost System cost Development cost Time to market Integration Peripherals Different Needs? 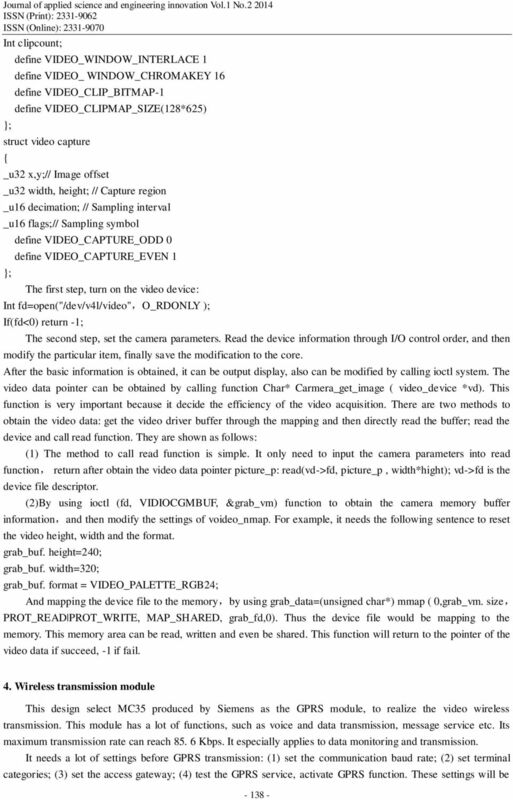 SKP16C62P Tutorial 1 Software Development Process using HEW. Renesas Technology America Inc.
Data Transfer between Two USB Devices without using PC Sukhada M. Deshmukh 1, Prof. R.C.Mahajan 2 Student, Zeal College of Engineering and Research, Savitribai Phule Pune University, Pune, India 1 Asst. 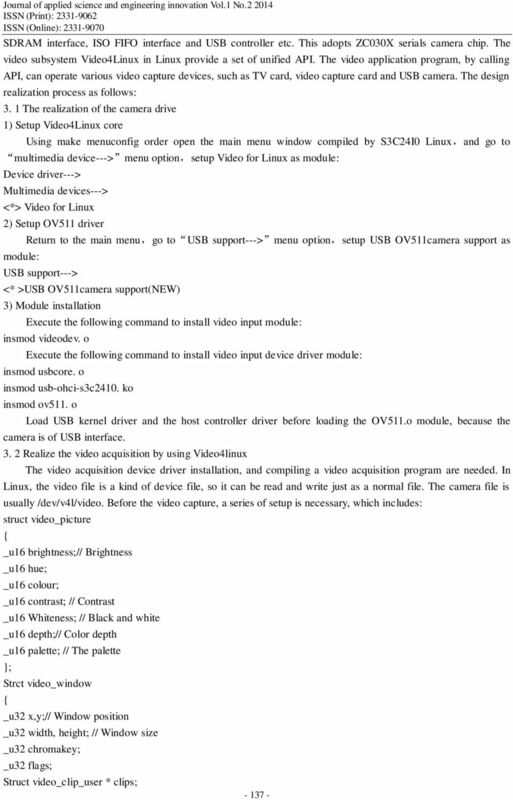 USB 3.0 Connectivity using the Cypress EZ-USB FX3 Controller PLC2 FPGA Days June 20, 2012 Stuttgart Martin Heimlicher FPGA Solution Center Content Enclustra Company Profile USB 3.0 Overview What is new? Middle-East Journal of Scientific Research 20 (9): 1143-1147, 2014 ISSN 1990-9233 IDOSI Publications, 2014 DOI: 10.5829/idosi.mejsr.2014.20.09.114075 Implementation of Web Server Using Embedded Linux S.
Using the HT46R46 I/O Ports to Implement Half-Duplex SPI Communication D/N: HA0150E Introduction This application explains how to use two I/O lines on the HT46R46 to implement half-duplex SPI communication.